What is your idea of the perfect holiday? Do you dream of sitting on the beach, cocktail in hand and topping up your tan? Or are you the type of holidaymaker that likes to get stuck into local history? If the latter applies to you, then no doubt the challenge of attempting to solve a 130-year history is something that gets your juices flowing. How can you do that? Simple, by taking a trip to one of the most popular tourist destinations in the world…London. The streets of Victorian London were far from the revered landmarks that we know today because, under the cover of night, a sick and sadistic killer was on the prowl for his next victim. 1888 saw the gruesome murders of five women all with one thing in common – the killer was never brought to justice. Many theories have been presented, with names such as Aaron Kosminski, H.H. Holmes and even James Maybrick all touted as possible identities for the anonymous Jack the Ripper. 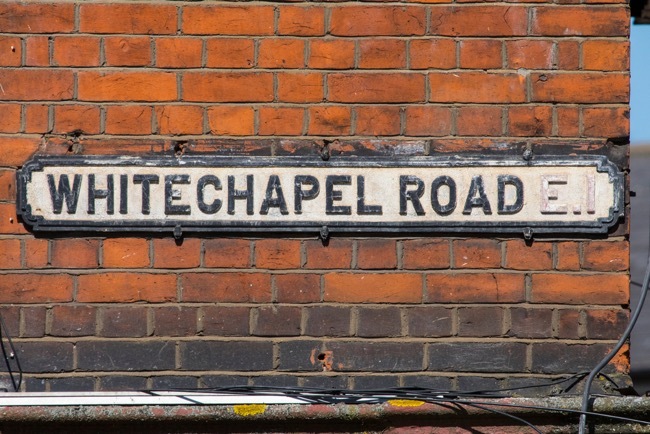 Despite all of the investigations that have attempted to uncover just who was responsible for the Whitechapel Murders, a conclusive result is still yet to be reached. If you would prefer to have a guide taking you through the events of those devastating nights, then there are plenty of tour companies working the area. A tour, led by a professional expert, will tell you everything you could ever need to know – and more – feeding your curiosity. In the present day, there are still plenty of signs of its heritage, which is one of the richest in the world. Here, you will find the famous Cockney going about their business – some would say this is the true heartbeat of the capital. London’s East End was most recently in the global spotlight in 2012, hosting the summer Olympic Games at the purpose built Olympic Stadium. The venue is now called the London Stadium and is home to West Ham United, a football club that is sewn into the fabric of East End London. This is where the likes of Usain Bolt, Jessica Ennis, Mo Farah and more made history at what Londoners firmly believe to be the greatest games in modern history. Not that they are biased, of course. Queen Elizabeth Park, where the stadium can be found in Stratford, makes for a fantastic day trip regardless of whether there are events on or not. The East End has certainly come a long way in the 130 years since the Ripper lurked its streets. Could you be the one to finally bring an end to one of histories biggest mysteries? The odds are certainly against you, and you will always have your doubters, but you never know unless you step foot in what was the Ripper’s playground. The only question is, are you brave enough to take on Jack the Ripper?